Poor-Trait Tattoo or Artist Boo Boo | JIFFY FEET – Southern Fried Awesome! One Comment on "Poor-Trait Tattoo or Artist Boo Boo"
While it may be in bad taste to mock the dead, it’s never, ever, ever in bad taste to make fun of a terribly executed tattoo. 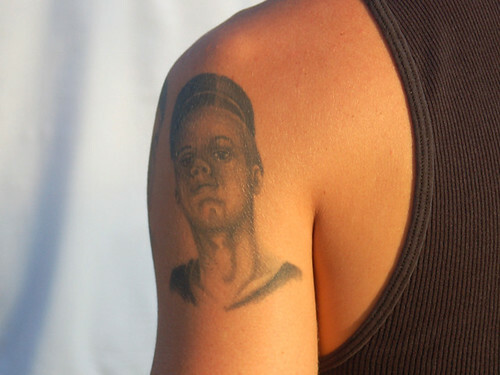 And this, friend, is a terribly executed tattoo.